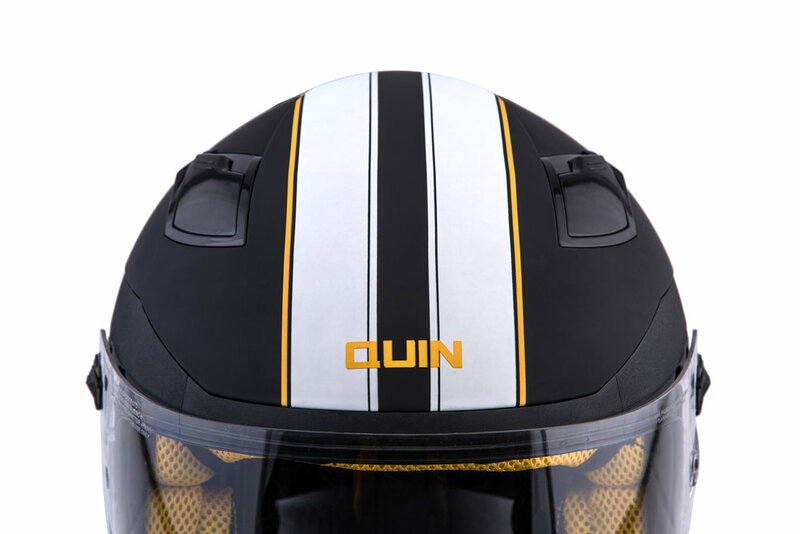 The Quin SpitFire is an aggressive full face helmet perfect for suiting up with either your leather jacket or wool blazer. Equipped with Intelliquin smart technology, the SpitFire brings safety up to date with the 21st century. Inspired by the Spitfire Jet, a stunning example of design and engineering. The Spitfire Jet and Helmet share aggressive, yet refined exterior lines, and simple design. The black, yellow and red harken to the devils who are brave enough to push the boundaries. Luxe-matte finish, minimalist graphics, classic racing stripes and color-matched quilted lining. The Quin SpitFire is aggressive, stylish and versatile. Which one is your favorite, the Rosso or Nero?